Welcome Spring! As the warm weather approaches Piedmont, also the markets will be full of new vegetables and fruits to choose from. 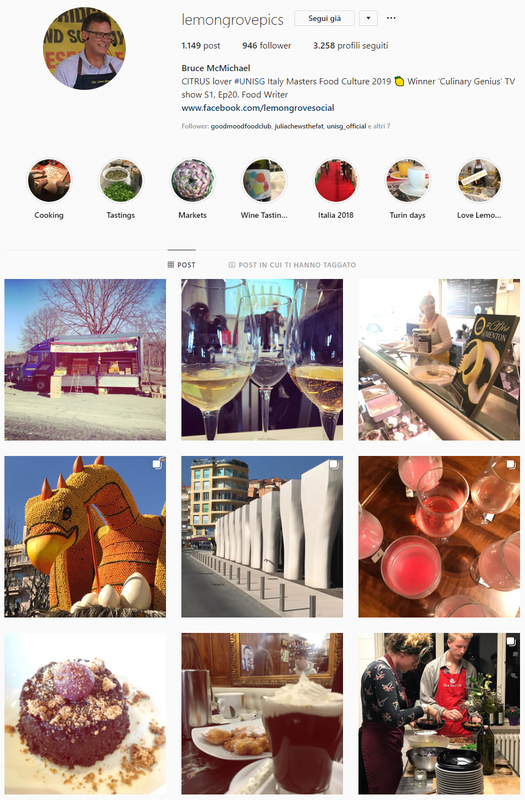 Scroll down to see what to do this month, support Alumni crowdfunding and follow our Instagram foodie finds! Five UNISG alumni have teamed up to re-energise De Stadsgroenteboer Community Supported Agriculture, a smallholding located just outside the Dutch city of Amsterdam. In between prepping the land to plant dozens of varieties of vegetables, herbs and even fruits, they have found time to run a successful but ongoing crowd funding campaign. Measuring 4,000 sq metre, the small-holder De Stadsgroenteboer was taken over in December, 2018 and is now being planted with tasty, healthy produce for 70 members who sign up for a season of weekly vegetable boxes, to be collected at the farm or delivered to their homes. Here, they talk with us about their journey, hopes and expectations! Our last study trip to Provence has been a full immersion into wine. Let me share with you a collective memory of a label and let's see together how it can tell a story and evoke a taste. You will find that the wine, the natural elements that shaped it and, at last, ourselves are all connected: to become one you just need to drink it. Read our story here! Niklas Ekstedt and Henrik Ennart spent most of their lives trying to understand how food affects us: however, only recently they realized that a big piece was missing. Everybody was only thinking about how food is mechanically causing reactions in our body without taking into account that it has a huge role in maintaining our mental health. It’s amazing to understand how everything is related inside our body and how much we need variety to work at our best: from nutrition to microflora, food affects all of our organs, including the brain. In the last 50 years industries created a global mono-diet composed only of a few varieties of ingredients, and that is why we are witnessing an exponential increase in the number of people affected by food-related body and mental illnesses. But, as a positive consequence, we are inquiring more and more on the types of food that can have a positive impact on ourselves. Through this book, the authors create a guideline to build awareness on how important food is to maintain balance, using a scientific and conscious approach. Providing 38 recipes carefully selected, they give readers the directions to find the most suitable diet for them in order to preserve body and mental health. A summer spent living in the Italian Alps introduced Arianna to butchery, cheesemaking, and farming, and in 2011 she found herself packing up and moving to Italy to attend UNISG. 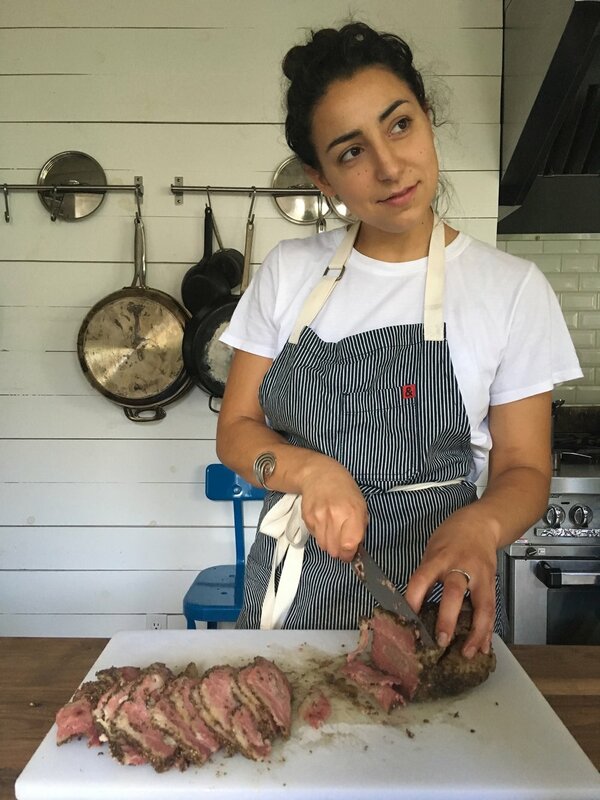 After nearly four years in Italy, Arianna is now back in Seattle, currently teaching classes for both adults and kids at The Pantry, a community kitchen based in Seattle, Washington. 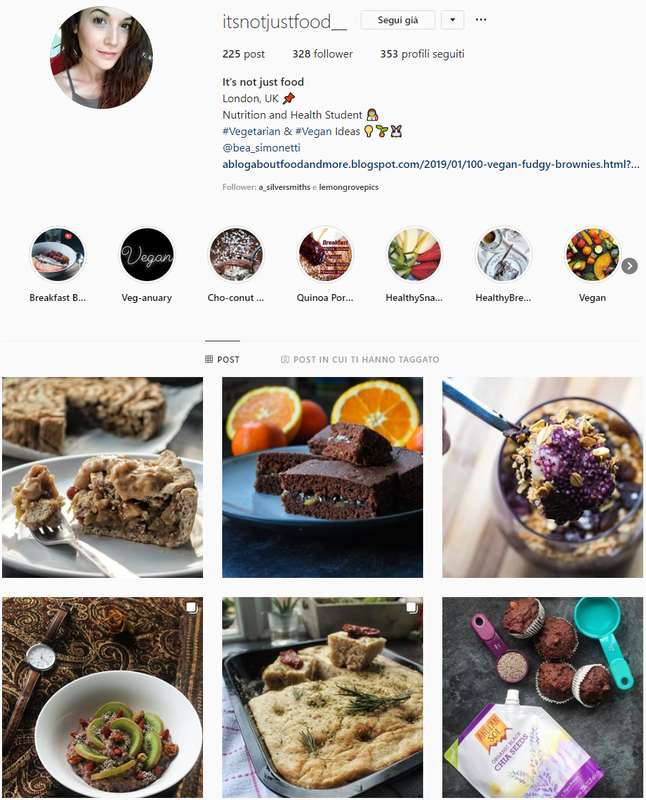 Today we suggest you this food blogger, an Italian girl studying in the UK and sharing how to eat healthy food in such a different country as England. Go follow her! Laila Said @worldonyourpalate is a UniSG Master Alumni. Right after her experience in Italy, she worked in Mexico (her home country) where she collaborated in hosting gastronomic tours which aimed to showcase the unknown richness in the new gastronomic identity which is developing in the city of Baja, as well as the diversity and high quality of the local ingredients. Right now she lives in New York City, working at @prior (a project founded by David Prior, UniSG Alumni who you can meet on April 4th at TA) creating bespoke travel itineraries with an emphasis on typical and regional cuisines, trying to connect travellers with artisans and producers on the ground, empowering local communities and craftmanship. Want to your see your account mentioned here or one you think more people should hear about? Then email us with your suggestions here! Hi, I’m Alyson from the MFCC&M course. Like everyone here, I’m seriously into my food but it’s restaurants that get my attention when it comes to Instagram. If a picture is worth a thousand words, then I’m well on my way to capturing a thousand meals. For me, it’s all about the art of food plating and I try my best to photograph the beauty of every dish and showcase the skills that go into making it. Snapping photos of food from London to Pollenzo, expect to see everything from my favourite sandwich shop to a handful of Michelin Star restaurants and everyone in between, with the occasional glass of vino thrown in for good measure too of course. So, join me on my adventures in pursuit of culinary perfection! Well now you can find out the answer to many of these questions by taking a listen to the Food Non-Fiction podcast. Hosted by two self-claimed “foodbuffs”, Lilian Yang and Fakhri Shafai, this duo delve into the history of many of the most well-known food and drink brands from around the globe. There is something for everyone, whether you want to understand what exactly is meant by craft beer, hear about the very first origins of Nutella, or if you want to listen to interviews with some of the most influential names from the world of food and drink. And if the world is not enough for you, then there is a special episode with astronaut Chris Hadfield who lifts the lid on eating and cooking food in space. Find it on Itunes, Soundcloud, Spotify, and on all other podcast-apps! 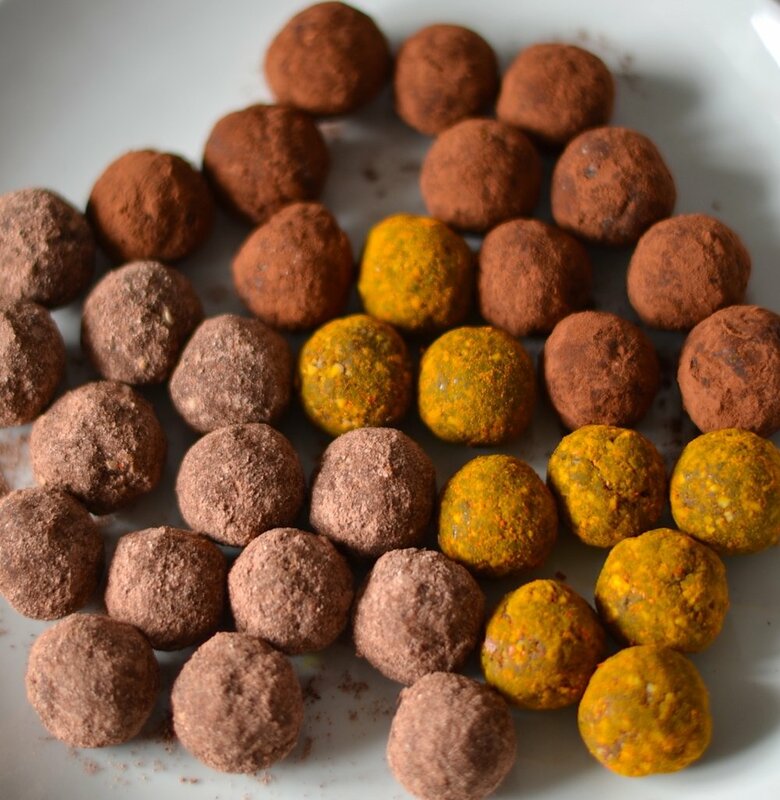 These truffles are so good, great as a snack or for a sweet tooth craving, they are super healthy and so easy to make! Give them a try. Click HERE for the recipe. But in general, we are glad to have created this amazing group of people, ready to be open and share with people near and far from this community the experiences and the different points of view of our Unisg mates. "Microplastic pollution has been found in some of Britain’s most iconic and remote rivers and lakes […] The new research looked at ten sites - including lakes in the Lake District, waterways in the Loch Lomond and Trossachs National Park, and a wetland as well as the Welsh reservoir - and found microplastics in all of them. Dr Christian Dunn, of Bangor University, led the research and confirmed the findings suggest that microplastics should now be considered as an emergent contaminant - and that routine monitoring of all UK waters must now take place." This is the introduction of ECOLOGIST interesting article about microplastics in Britain. As every year, the Tulip Festival will bring into the streets of the capital several fresh flower colors and flavors for the joy of the youngers and the olders. Everywhere along the streets you will find beautiful tulips, from EYE Filmmuseum, Hermitage and Botanical Gardens to private houses, public squares and hotels. Ready to go? On the 3rd of April there will be the formal opening of the new Central Market in Turin with many surprises. Famous Michelin stared chefs are going to have their own space where they will propose their cuisine in a “casual and low cost” key. In few numbers: 28 stands in 3 levels = a mix of FOOD INNOVATION + TRADITION. At Eataly of Monticello d’Alba there will be a fancy sushi dinner with great chefs from the neighborhoods. 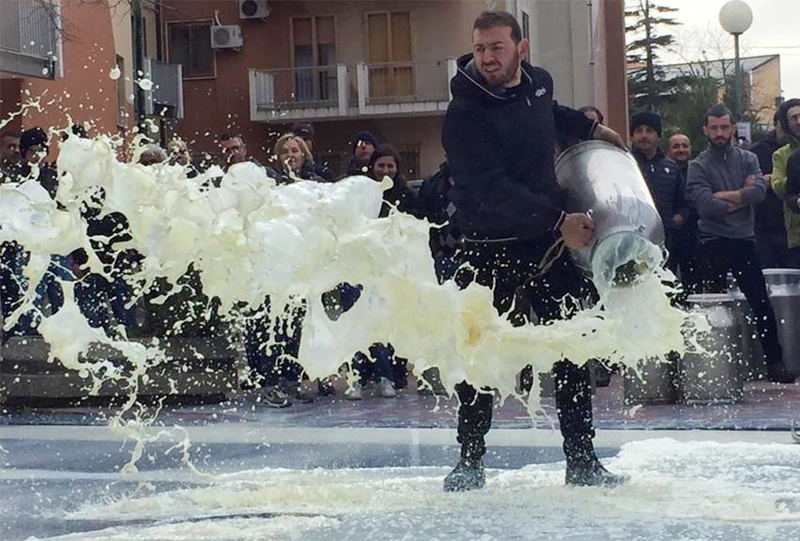 In the menù, ingredients marked as Slow Food Presidium used in an unusual way. An example: uramaki with salmon and meagre fish, avocado, sea mayo and Toritto Presidio Slow Food almonds. A good opportunity to have a bite of Japanese cuisine! 170 winegrowers are waiting for the string of this annual event, unique one in Italy that collects both the best-known and the small undiscovered producers. Few days to have a deep experience of what is NATURAL, so far not well defined… How to understand it? Taste it! Alyson Parkes, Bruce McMichael, Carly Dela Cruz, Vittoria Rapone, Alessia Colaianni. March, already! Spring is approaching sooner than expected, and the weather makes it perfect to spend more time outside and enjoy the sun. Make sure to check out the new section on Podcasts, and we hope you enjoy this month’s post. See you at the graduation party! Food can be theraupeutic in many ways. Cooking our childhood favourite dish might help us cure our homesickness, eating a colourful salad can brighten up the dullest of days and chocolate is an ever popular cure-all. Foodastherapy.org is a website aiming at highlighting exactly this relationship between our emotions and our appetite. The idea is that eating well is about preparing the food that you feel like eating, a simple and still somewhat radical thought in todays‘ food landscape, where eating a salad is always virtuous and an innocent cookie “a guilty pleasure”. You will find sections dedicated to the main categories: health, home, love, anxiety and boredom. Recipes are kept simple and unfussy and accompanied by nicely written side notes hopefully mirroring your state of mind. I suggest you go and have a look, I’m off to make a nice soup for dinner, hoping that it will be helping me to be able to focus on just one thing. It is said that every chef knows how to prepare an egg in at least a hundred ways. Every self-respecting gastronome wouldn’t fall much behind. Yet, it is worth mentioning that those amongst you familiar with the works of Mr F. Scott Fitzgerald may have the advantage. To catch up with them, why don’t you join us for this year’s Graduation Party. On the 8th of March, at 21.00, Movicentro will turn into Jay Gatsby’s mansion. In other words, jazz up your outfit and get ready to feel the spirit of the Roaring Twenties. Oh, and before we forget, you still have time to join the Instagram competition. Unlike with bootlegging, you don’t have to be a criminal mastermind to win substantial rewards. Each year ten groups of students gather around a menu, inspired by their culture, country or even a class they are attending at UNISG, and serve a signature lunch at Tavole Accademiche. They work with the catering guys at Tavole and have several meetings with head chef Martín Vera, as well as other key members of the catering brigade to create a memorable experience. This year the groups working with Tavole are drawn from all the university including Trienniale, Magistrale and, as this photo shows, from the Masters in Food Culture, Communication & Marketing courses. Keen cooks Philippe Kämpf (right) from Switzerland, Carlotta Panza from Liguria (centre) and Matthieu Lecuit (left) from France started at UNISG this January and can’t wait to get into their chef’s white jackets, put themselves behind the stoves and cook. Menus are being finalized right now and dates in which the various teams will be cooking will be available soon. Chef Martín tells us that some teams create a different, unique atmosphere in the dining hall with music or perhaps by displaying creative work around the canteen. The lunches are always enthusiastically looked forward to, giving students an opportunity to show off their creative skills and love for cooking and food. Each month we’ll chat with a group of students to understand how they developed their menus, what inspired them and what they hope the diners will experience eating their food. What better way to know someone else by means of their food? I have a tip: drink some wine while you're eating. In Paris, the worldwide symbol of fine dining, merging different cultures with food and wine pairing can be a surprising and delicious experience. Most importantly, it is the best way to understand each other. Read here. An in depth McDonald’s experience that will push you to reflect on consumers’ behaviors and choices. The movie shows what can be called “a fast of fast food life” as it is based on the demands and answers of the market. The documentary is based on an experiment whose object is the director himself, who spends 30 days eating only meals served at McDonald’s. After the movie came out in 2004, there has been an increasing interest in the fast-food industry from the audience. As a result, McDonald has began to show some concern on its consumers’ health, changing its menus and giving new different ranges of choices. The main outcome is what professionals have figured out analyzing the fast food diet: the body mass and the internal body setting can be affected by consumption of high fat and high sugar containing foods. Is it a matter of calories or is there something more? Multinationals have a relevant role in the global market and local consumer choice: our daily preferences are directly shaped by the environment that surrounds us and this interesting movie will make you reflect on it. Why are, to this day, the working conditions and the nutrient amount of the final food products, so poor? Thanks to this lecture you may find the answers on the relationship between nutrition and industry, on the illegal employment of immigrants, on the link between meat packaging industries and cities’ gangland. The food quality is decreasing due to the several steps of the food production which impoverish the material. "Eric Schlosser's book on the economy and strategies of the fast-food business should be read by anyone who likes to take their children to fast-food restaurants.” The daily telegraph, one of the most important daily newspaper in the UK, reflects what the reality is like: Nowadays the families get together in the fast food restaurants (not at home) and awareness is needed in order to educate the younger generations on food. The American case history reported is not the only reality: explore issues related to fast food marketing and its impact on societies’ culture thanks to the book’s critical point of view. Meet Molly Renaldo from the US, former class representative and 2018 graduate of MFCC Marketing & Sustainability of High-Quality Products. She is an incredibly positive, enthusiastic and inspiring gastronome eager to make an impact on the world through food. Before coming to Pollenzo, Molly earned an undergrad in International Business and Trade from Boise State University. She is now synthesizing her aptitudes in international trade and passion for food as a successful Business Development Manager for Fair Trade USA in San Francisco. Read on to learn how UNISG helped her designing her career! If you are looking for an adventure this is the right page where to find it! This two young guys, Pietro Ienca and Luigi Chiurchi are spending their time traveling all over the world, discovering new amazing places, people, traditions and food. You may have had already the possibility to meet them during Terra Madre, where they have been invited to talk about a research trip they have done in the Spanish savanna. Through their Instagram stories they give us the possibility to travel with them and, why not, take inspiration for a future trip by yourself! Enjoy the adventure! 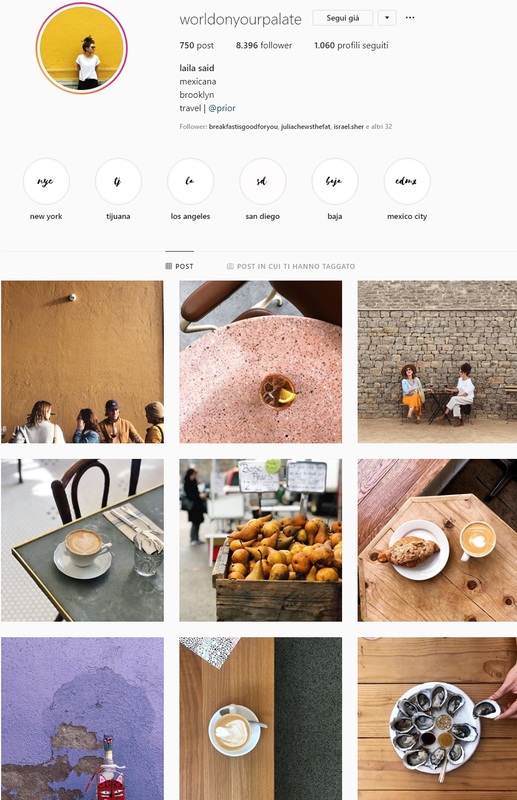 Millions of food and drink photos are posted online everyday with social media apps such as Instagram, Facebook and Pinterest bursting at the seams with new images. Many students here at UNISG are keen photographers and share their images through Instagram sharing the fantastic opportunities that being a student here offers. Whether is rolling out pasta, making Chinese dumplings or recommending which bottle of Barolo you should be tasting. Hi! I'm Bruce McMichael, a new student on the Master, Food Culture, Communications & Marketing course. I’m also known as a citrus fan or ‘Lemonhead’ and a big fan of Instagram. Open any cookbook, food magazine, drink a glass of Riesling or mix up a Limoncello cocktail and you’ll find citrus - pictures, recipes using lemons, limes, oranges! I love the freshness, colour and feel of these fruits, their taste and vitality. So, on my Insta account expect to see lots of images of lemon festivals in Liguria; orange trees on the French Riviera and hopefully a Slow Food Ark of Taste’s Procida Lemon grown in Campania, during our first study trip this March! We are in the middle of citrus season in Europe with fruit from Liguria, Lake Garda and further south in Sicily found in our local market and even those roadside trucks selling oranges and lemons around Pollenzo. Gastronomes! Get ready for the launch of UNISG Table’s very own podcast! This will be a monthly podcast hosted by students for students, covering as many food and drink related topics that we can fit into a recording. Expect to hear from Guest Chefs; get an insight into study trips; learn about exciting events happening in and out of UNISG, and much, much more! And that’s not all, we also want you to get involved! If you know of an event that you think we should be talking about, maybe you want to discuss a breaking food-related news story, tell us about a producer you have come across, or just want to tell us what you’ve been eating and drinking in and around Pollenzo, then get in touch! Drop us an email at with the subject line “Podcast” and tell us about your idea. In the meantime, why not get your teeth into The Food Programme, a podcast from the BBC investigating many aspects of the food that we eat. This show discusses everything from the history of food to whether or not we should boycott controversial ingredients. Find it on Itunes, Soundcloud, Spotify, and on all other podcast-apps! This recipe is perfect when you just have the basic ingredients for baking in the fridge. I absolutely love the sweet and sour taste of them. Plus they are super easy to make, and perfect for all the occasions. If you are a citrus lover, give them a try and let us know! Here’s THE recipe. The relationship between humans and animals dates back thousands of years, and it has had a lot of ups and downs. Back in 2000, China launched a nationwide campaign to encourage people to consume more milk and dairy products for health reasons – a campaign that had to overcome the deep suspicions of many older Chinese people. In northern Europe, more than 90% of people are lactase persistent. Drinking milk might have other advantages besides its nutritional value. Milk contains a type of sugar called lactose we produce a special enzyme called lactase that allows us to digest the lactose in our mother’s milk! An exhibition to understand climate change through experience, awareness and a call to action aimed at stressing our responsabilities. Over 290 photographs taken by great masters of National Geographic photography tell the profound transformation of the planet Earth caused by global warming. Are you interested in wine and you want to work with it? Maybe this is the best work for you! This company needs people to receive their customers and to guide them into the world of wine. Check it out! Deadline: 10/03. This Gourmet grocery is looking for a full time seller. They are specialized in italian salumi, cheeses, fresh products. Deadline: 15/03. This beautiful place is located in Sicily, and it’s a restaurant that is looking for young gastronomes passionated in cooking and food. The main job is to be a maitre with passion for wines. If you are a chef and you like to work with a great team of other chefs, this Club is looking for you. Check it out! Deadline: 17/03. Bruce McMichael, Carly Dela Cruz, Vittoria Rapone, Alessia Colaianni.